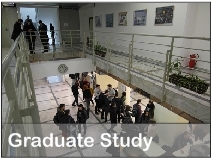 In 2017/2018 there are 502 students enrolled in 6 programmes of the integral undergraduate and graduate study of physics (research physics, educational physics, educational physics and computer science, educational physics and technology, educational physics and chemistry, educational mathematics and physics) and 174 students in doctoral study. 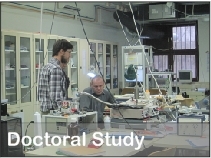 The current academic staff of the Department consist of 56 teachers and 50 lecturers, assistans or students in the postgraduate doctoral study in physics. Research oriented study of physics is an integral undergraduate and graduate five-year study, demanding a full competence in theoretical and experimental physics, as well as the basic knowledge of mathematics and computer science. Masters of physics are competent to enrol the postgraduate doctoral study of physics and they can find positions at universities, research institutes, medical institutions, nuclear power stations, industry, financial institutions, etc. Educational studies are integral undergraduate and graduate five-year studies, demanding a competence in physics (and computer science or technology respectively), as well as the basic knowledge of mathematics, pedagogy, psychology, general didactics and specific methods of teaching physics. Masters of education can find positions in primary and secondary schools. In collaboration with the Department of Geophysics, the Department offers the postgraduate doctoral studies in physics, which qualify students for experimental or theoretical scientific research in the chosen field of physics. Therefore, the studies include both teaching and research components. Participation of teachers from other Croatian institutions has been envisaged, and visits of teachers from leading foreign universities and institutes are also possible. Research work is integrated into scientific projects of renowned laboratories and groups, and led by experienced mentors. The study is composed as a regular three-year university course of study in several fields: Elementary particle physics, Nuclear physics, Condensed matter physics, Atomic and molecular physics and Astrophysics, Biophysics, Medical physics, and Geophysics.